When welcoming in a new year, I prefer setting goals rather than making new year resolutions. Resolutions seem vague, something to write down because it looks good. 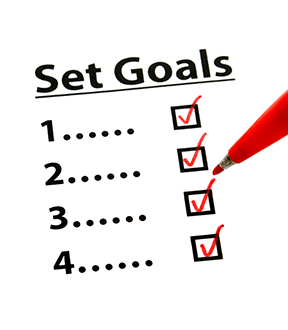 Goals are more concrete, specific, measurable, andmuch more motivating. Take for example the resolution “go to church”. Now look at the goal of “attend church at least 3 times a month”. Another example, “lose weight”. Now look at the goal “lose 3 pounds a month”. We tend to walk away from resolutions because they don’t hold our interest as goals do. Goals help us establish where we want to be in life a year from now. Write down goals you want to achieve in 2012 and be specific. Write out three specific steps to reach this goal. Write down two things that will help you stick to your goal. I will eliminate all flour and sugar products and eat more fruit and vegetables (notice the specific steps). I will write down everything I eat. I will enlist a weight-loss buddy (notice the two steps to help you stick to your goal). After losing ten to twelve pounds, I will buy two new outfits (notice the reward). I will set aside $50 each week for the trip. I will select cities and areas I want to explore and will begin researching the areas, printing out information (specific steps). I will share my idea with two friends and ask for their support (two steps to help you stick to your goal). I will get a photo album for all the pictures I will take in November (built in reward). Setting goals is not unspiritual! 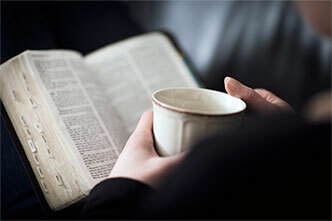 Many people wrongly think, “Goals are unspiritual because it shows a lack of trust. It’s not right to plan. People should just wait for God to lead them.” Granted, God doesn’t want us to forge ahead in pride without consulting Him for guidance and blessing. But neither does He want us to sit around without acting (sometimes stemming from fear). Goals can be the pathway to our God-given purpose. He has given us talents, gifts, and desires that can be used for His good (Ephesians 2: 8-10, Romans 12:4-8, Matthew 25:14-30). Anything I consider important, I’ll write on a piece of paper and place in my Bible. I’ll then leave it there and ask for God’s will and guidance. I do nothing until I feel His blessings are given. How do I know? For me, doors open, opportunities come my way, and the path unfolds easily. If I struggle with something, I know God is not blessing it. I am praying you, too, will not struggle but will prosper in 2012!